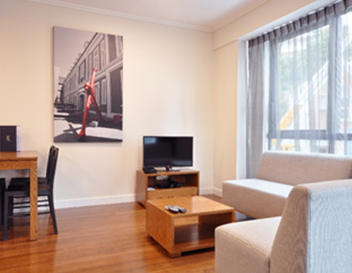 Many people wonder why they should consider an apartment hotel over a traditional hotel. The benefits are many, and once you’ve found an apartment that suits you, there’s nothing like being in your home away from home. Our apartment hotels are designed with your independence, comfort and security in mind. For the time you’re with us, it’s your relaxed space to live, work and socialise. 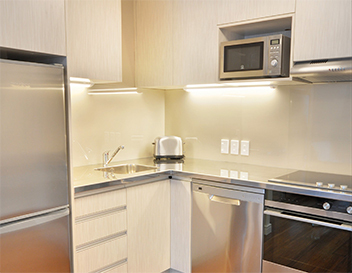 Our apartments all have laundry and cooking facilities as well as the complimentary wi-fi. Some have full kitchens and others, kitchenettes but you’ll find that you can easily cook a meal to enjoy in front of the Sky TV. If you don’t feel like cooking, check out our App to see details of local cafes and restaurants, some of which will deliver to your door. When you arrive, your apartment will have been freshly cleaned, the cushions will have been plumped, and everything will be in full working order. 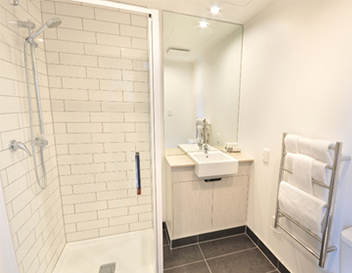 During your stay, our housekeeping team will come in at pre-arranged intervals (daily or weekly) to clean the apartment, and change the bed and bathroom linen. If there are any maintenance issues during your stay, just let us know, and they’ll be attended to as a matter of urgency. Our apartment hotels are ideal for both business travellers and holidaymakers looking for independence and flexibility. They provide a relaxed space to live, work and socialise in, with all the essentials to feel settled, safe and comfortable. Serviced apartments provide the ideal base from which to go explore this wonderful city, whilst giving you access to all the local amenities. Apartment hotels usually have more room than hotels so if you’re travelling with family or friends, there is ample room for your whole group. You’ll get privacy and freedom that you don’t usually get at a traditional hotel. Our rates per apartment compare very favourably with hotels and if you’re travelling with others, they can be the most economical choice. Remember that beneficial rates are generally available for longer stays and for Corporate guests so you can enjoy the apartment with the satisfaction of getting value for money.